As The Ear posted yesterday, this coming Sunday afternoon and Monday night will see a special commemorative concert at the Hillside Theater of the Taliesin compound in Spring Green. 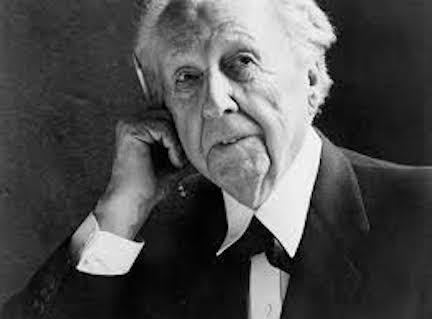 It will mark the 150th anniversary of the birth of famed architect Frank Lloyd Wright (below). 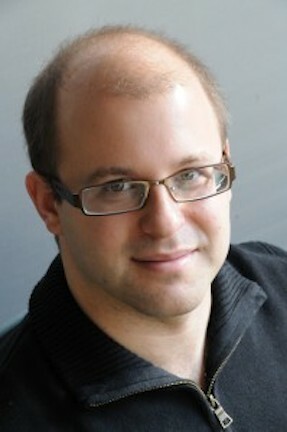 Certainly the standout piece will be the world premiere of a work for chorus, string quartet and piano, commissioned by Taliesin from Scott Gendel, a Madison-based composer who studied at the UW-Madison. “When I first heard about this opportunity to write a musical work in honor of Frank Lloyd Wright’s 150th birthday, I had a lot of grandiose ideas about big architectural music, music that would be huge in sound and concept. “But when Taliesin Director of Music Effi Casey (below top) took me on a tour of the house and the grounds (below bottom), what struck me more than anything else was the beautiful intimacy of the spaces, the way in which every room was designed to draw you in closer. “And then when I learned of the Taliesin Community Chorus and their love of singing together to create community, I knew “That Which Is Near” was going to take a different direction than I’d originally thought, and really become a piece about intimacy and connections between people. ““Some Flowers For Frank Lloyd Wright” by Hendrik Theodorus Wijdeveld (below) felt like the perfect text to use for such a piece. It’s stunning in its descriptions of Wright’s work, but also has a charming sweetness about it, the way he’s just offering “some flowers” rather than a huge extravagant gift. 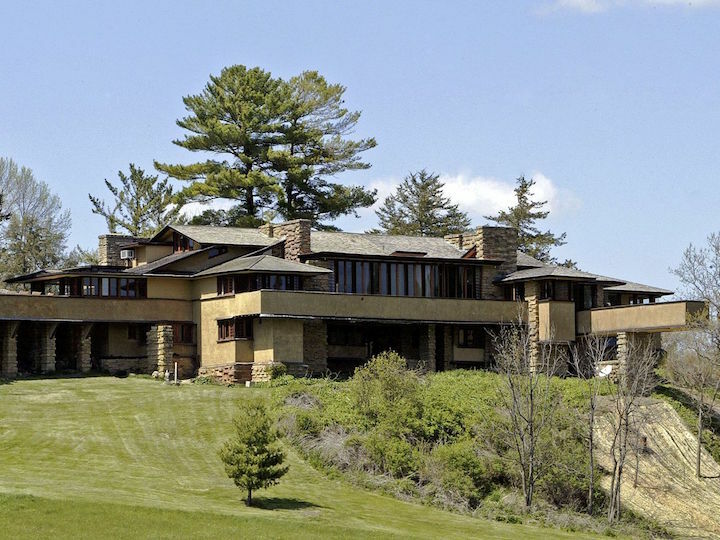 “And so “That Which Is Near” is two things at once: First, it’s a celebration of Frank Lloyd Wright’s incredibly masterful work, and how wonderfully persistent and evergreen that work still is, 150 years after his birth. 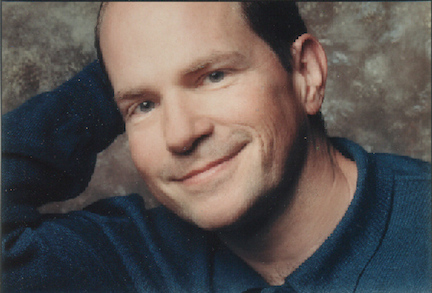 Scott Gendel is a composer, vocal coach, theatrical music director and pianist living in Madison, Wisconsin. As a composer, his music has a wide-ranging scope, but Scott is particularly fond of all things vocal, and of the artistry of the human voice in all its forms. As a performing musician, Scott collaborates on vocal recitals around the country, and is the official pianist and vocal coach for Madison Opera. Last year, his song “Advice to Those Like Me, With Hearts Like Kindling” was premiered by soprano Melody Moore in her Carnegie Hall debut recital. 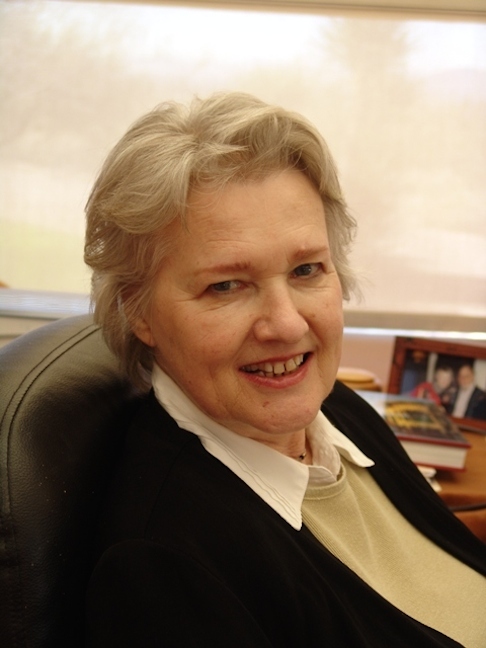 This spring, Gendel’s choral-orchestral oratorio “Barbara Allen,” based on the traditional Appalachian folk song, was premiered by the Santa Clara Chorale and San Jose Chamber Orchestra. In 2005, the same year he received his doctoral degree from UW-Madison, Gendel was awarded first prize in the ASCAP/Lotte Lehmann Foundation Song Cycle Competition, a juried national award in its inaugural year. More recently Scott was the second prize winner of the 2016 NATS Art Song Composition Award, and winner of the 2017 Ortus International New Music Competition. 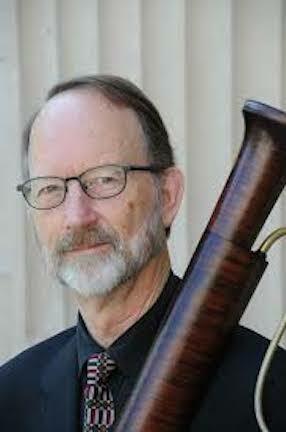 His music is published by Classical Vocal Reprints, ECS Publishing, and the Tuba/Euphonium Press. 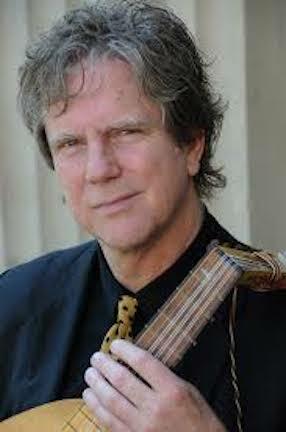 His art songs have been recorded on Albany Records, GPR Records and Naxos. Upcoming commissions include the original opera “Super Storm!” for Opera for the Young’s 2018-2019 season, which will be performed in nearly 200 schools around the Midwest; and a song cycle for soprano, cello and piano on the poetry of Emily Dickinson, to be premiered and recorded in her hometown of Amherst, Massachusetts by UW-trained soprano Jamie-Rose Guarrine (below), cellist Karl Knapp and the composer at the piano. 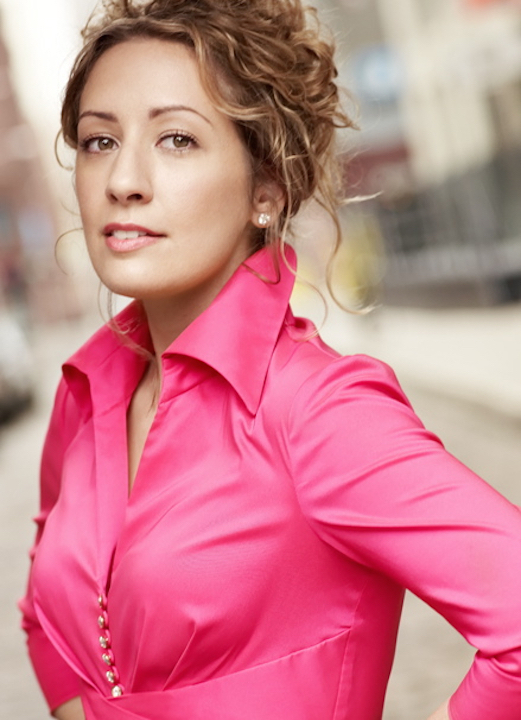 Gendel will also perform some of his art songs with soprano Emily Birsan (below), another UW-Madison graduate who also attended classes and sang at the Lyric Opera of Chicago, at the Friday night concert, Aug. 11, of the Madison New Music Festival. Go to http://www.scottgendel.com for more information. Classical music: Why Schubert? Ask pianist-singer Bill Lutes and go to the UW-Madison’s third annual Schubertiade this Saturday night at 8 p.m. The third time is the charm. By then you know a tradition has been born. 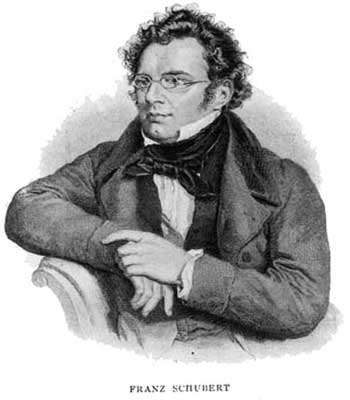 For the third year in a row, the University of Wisconsin-Madison is holding a Schubertiade at the end of January, near the birthday of Austrian composer Franz Schubert (1797-1828, below). Can there be a better way to kick off the second semester of concerts and music-making? 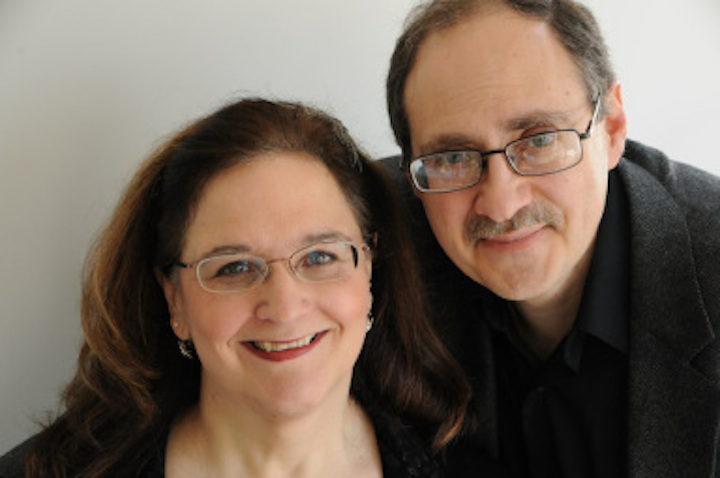 The event, which was founded by and now is organized by and performed by the wife-and-husband team of UW-Madison collaborative piano professor Martha Fischer and piano teacher and former music director for Wisconsin Public Radio Bill Lutes, takes place this Saturday night at 8 p.m. in Mills Hall. Admission is $15 for adults, free for students of all ages. A post-concert reception is included. ALSO, BE ADVISED THAT THERE IS A UW HOCKEY GAME THAT NIGHT, SO FINDNG PARKING WILL BE MORE CHALLENGING THAN USUAL. ALLOW FOR EXTRA TIME TO GET TO THE CONCERT. THE HALL WILL OPEN AT 7:30 P.M., IF YOU WANT TO COME EARLY AND GET TO YOUR FAVORITE SEATS. What is it about Schubert that makes him special to the many performers and listeners who will take part? This is the third consecutive year of the UW-Madison Schubertiades that you have presented in honor of his birthday on Jan. 31, this year being the 219th. What is it about Schubert that draws audiences and performers to his music? Probably the most obvious thing we love about Schubert is the endless stream of glorious, memorable melody – melodies that we can only call “Schubertian.” Who can forget a tune like “The Trout” or “Ave Maria” or the famous “Serenade”? These are part of our cultural DNA. 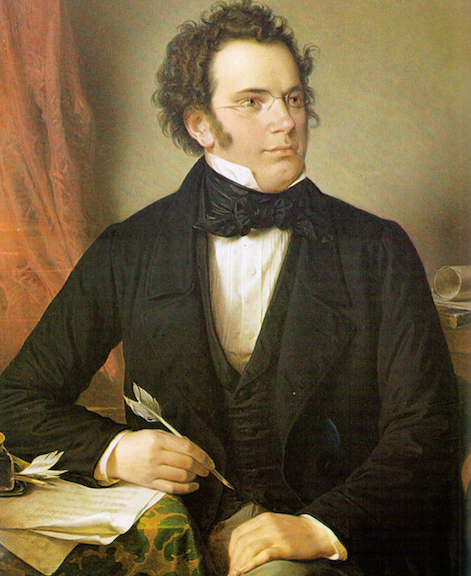 Then there is Schubert’s rich harmonic vocabulary, and his expansiveness and generosity of form. 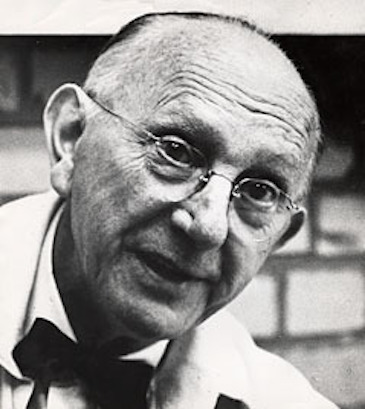 Although he fashioned innumerable miniatures of exquisite perfection – short songs and piano pieces – he also wrote some of the biggest works of the time, including some of the songs we are performing. They are big in every way, the “heavenly length” that Robert Schumann wrote about and loved, the sense of adventure and the unexpected and the sheer spaciousness of his musical paragraphs — and the long passages of rhythmic obsession that seem to anticipate today’s Minimalist composers. Above all, his music is unique in the ways it explores the most joyful and the most tragic aspects of our experience, often interwoven, and ambiguously overlapping. Those of us who are attracted to Schubert feel that he is our friend, our consoler, our guru and our guide to something that shines beyond the travails of our earthly life. He left us such a rich and varied body of music. The amount he composed in his 31 years is absolutely incredible. But also the level of inspiration is so high throughout so much of it. Your program has a lot of variety. Is there some overarching “theme” that ties the program together? This year, the pieces we are doing are all inspired by Schubert’s exploration of the sounds and imagery of nature. 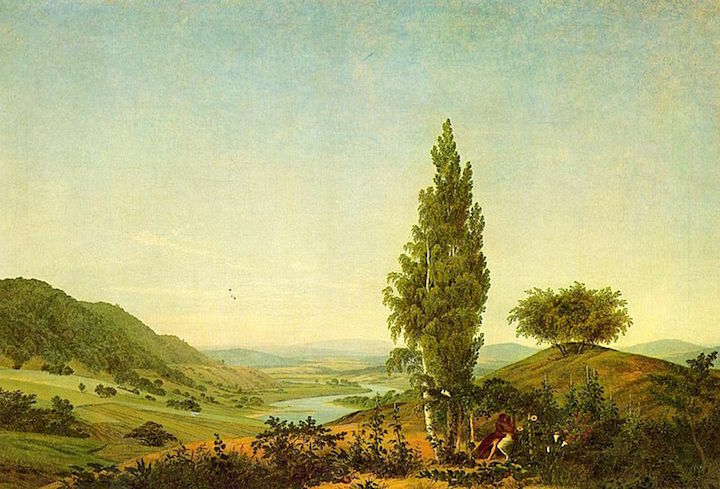 We’re calling it Schubertian “Naturescapes: Water, Winds and Woodlands.” Schubert came along at a time when the Romantic poets, painters and musicians began to think of nature in a new way. What are some of the challenges that Schubert’s music poses to pianists in particular? 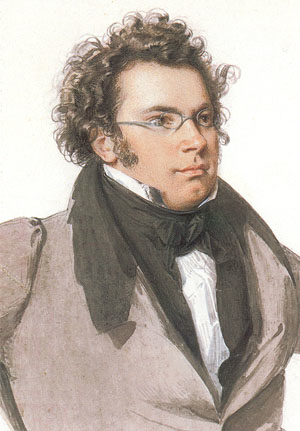 Schubert’s piano style is unique, and calls for an ability to sing on the instrument, and to play with an array of orchestral colors. Playing his songs of course means that you understand something about what it takes to sing them, and you have to completely get into the poetry and the ideas being explored. He was a very social and sociable composer, and so a lot of playing Schubert involves playing nicely with others. That includes of course playing duets by two pianists at one keyboard. Schubert was probably the greatest composer for this medium and wrote some of this greatest works for piano duet. The two pianists must play the same instrument, and sound as one. It is harder than you might think! The issue of playing in such close proximity to your partner invites a level of physical intimacy that can be quite pleasant or quite awkward, depending on the music in question. 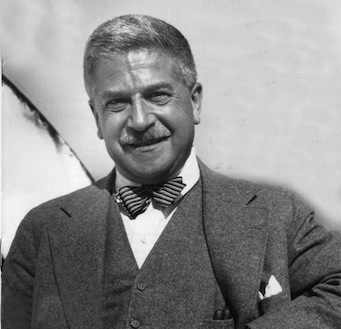 The great pianist Artur Schnabel (below) spoke of “music that is better than it can be played.” He included most of Schubert in this category. 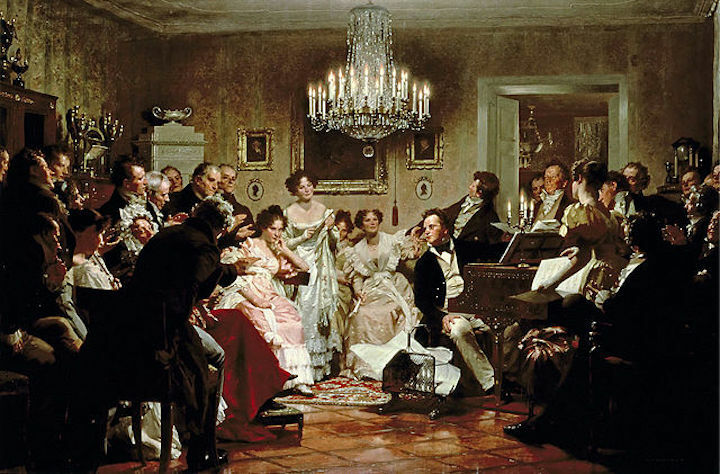 The idea for the Schubertiades originated in Schubert’s lifetime — social gatherings devoted to hearing Schubert’s music, but also to having a good time with friends. How do modern performers recreate this informal atmosphere? Part of it is the variety of the music, and the large number of performers who will be joining us, most of whom will be seated around the piano on stage during the concert (below top). We will also have seating on stage for audience members who want to have a bit of the intimate feeling of those first legendary Schubertiades (below bottom) held in salons in Vienna. We aim for an atmosphere of spontaneity and informality, as we have in the past two Schubertiades. We are thrilled this year that our concert is underwritten by a generous donor, Ann Boyer, whose gift has allowed us to include opera singer Jamie-Rose Guarrine (below, in a photo by Peter Konerko) as our featured guest artist and alumna. We both worked a lot with Jamie-Rose when she was a student here and she’s a wonderful singer who will be travelling to us from New England where she is a new voice faculty member at the University of Massachusetts at Amherst. And of course we are delighted to be making music with so many of our UW-Madison School of Music faculty, other alumni and friends. We will be performing all the songs in their original German. However, you’ll find full German texts and translations at the door. We encourage people to come early and read the poetry before the concert begins. It’s a nice way to familiarize yourself with the gist of the poems without having to be glued to your program while the songs are being sung. An die Musik, D. 547 To Music. Franz von Schober. Everyone is invited to sing along. You can find the words in your texts and translations. Classical music: The weeklong Madison Early Music Festival starts Saturday. It turns 15, puts early Italian music in the spotlight and adds FREE noontime lectures while enhancing the second annual Handel Aria smack-down and using new venues. Part 2 of 2. Can it really be 15 years already? This year’s installment starts on this Saturday, July 12, and runs through the following Saturday, July 19. It features many of the traditional things such as workshops, lectures and public concerts. But it also features new out-of-town groups, free noon-time lectures and only the second annual Handel Aria Competition, which has been enhanced. 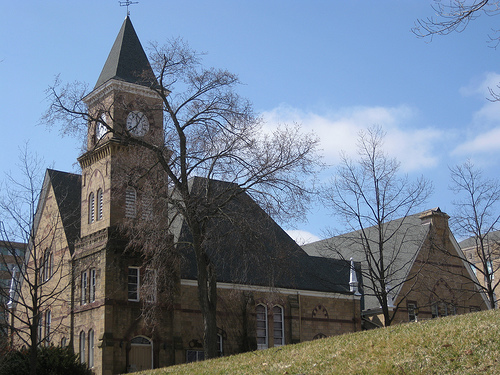 Venues are the biggest challenge this year, given the upgrading of Mills Hall at the University of Wisconsin-Madison School of Music. 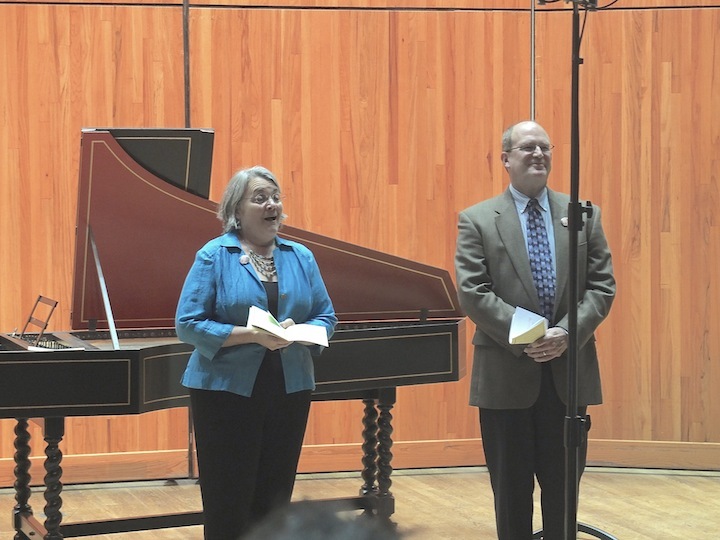 To get things straight, and to provide a larger context, The Ear asked University of Wisconsin-Madison baritone Paul Rowe and his soprano wife Cheryl Bensman Rowe -– who are the co-artistic directors of the Madison Early Music Festival -– to do an email Q&A for this blog. They graciously agreed, and the results has been posted in two parts, yesterday and today. How does Italian music from that period differ from its counterparts in, say, Germany, France and England? How does it set up and participate in the artistic qualities we identify with the Italian Renaissance? What is the historical origin and role of the music from that era in that part of the world, and what is its legacy today? 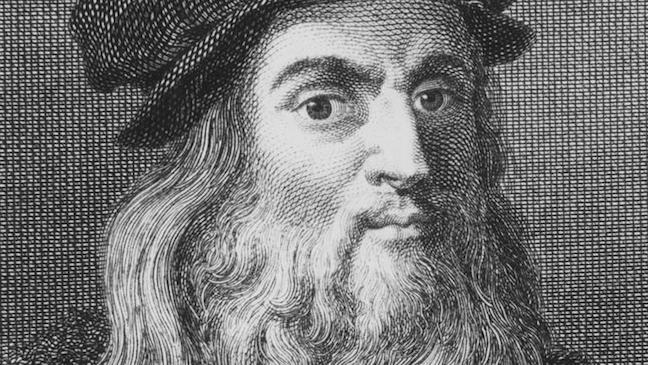 Paul: Italy was the leading artistic, educational and philosophical country in Europe until the mid- to late-17th century. Its influence continued to be felt long afterwards. The musical language of Italy spread throughout Europe because many composers came to study in Italy before returning home and because it was the center of publishing. Many of the developments in music such as polyphony, virtuosic solo writing, opera, monodic song and improvements in instrument-making took place in Italy or in other areas where Italians settled. Italy gradually lost its position of cultural leadership. It was replaced first by France and then by Germany. What music and composers of the era have been most neglected and least neglected by historians and performers? 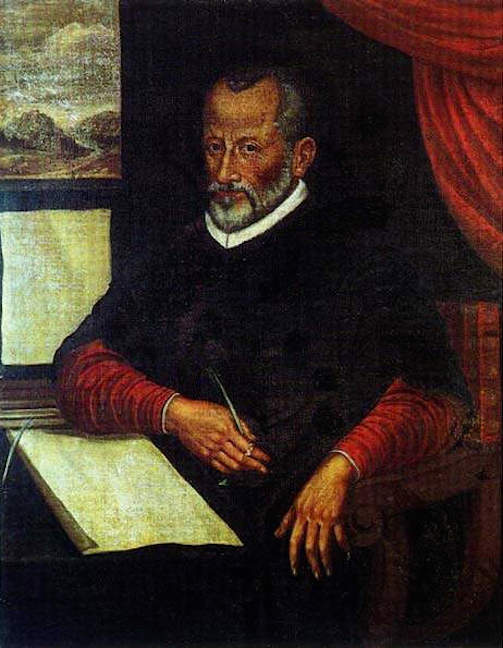 Monteverdi and Palestrina (below) are probably the most well-known of the major composers from Italy at this time. Others who should be better known are Cipriano de Rore, Luzzaschi, Caccini, Gesualdo, Lassus, Tromboncino, Landini and many others. Can you tell us about the program “Trionfi: The Triumphs of Petrarch” for the concluding All-Festival Concert on Saturday, July 19? Cheryl: Grant Herreid, who is a member of Piffaro, has been a part of the MEMF faculty since the beginning. When we chose the topic for this year, he had a wonderful selection in mind for the July 19 program. I’ve included his notes, which describe the All-Festival Concert that Grant designed for our 15th season. 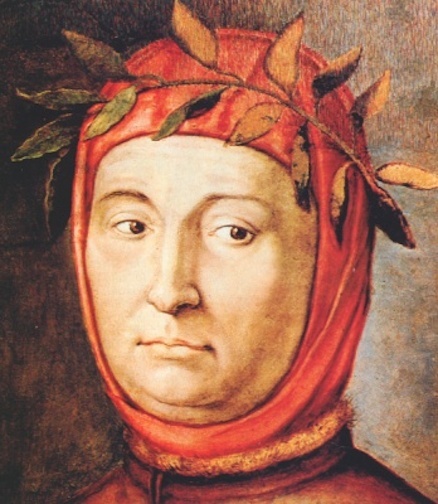 Francesco Petrarca (Petrarch, July 20, 1304 – July 19, 1374, below), considered the father of humanism, was the most influential poet of the Italian Renaissance. Autobiographical, composed and revised over 30 years, his Trionfi, or “Triumphs,” is a series of poems composed in terza rima (the same form and meter as Dante’s “Inferno” in “The Divine Comedy”) in which the poet witnesses a succession of triumphal entries or trionfi, each featuring an allegorical figure more powerful than the first: Love, Chastity, Death, Fame, Time and Eternity. The idea of the succession of trionfi or triumphs was a popular theme in Italian art and literature of the 15th and 16th centuries, and may even have influenced the development of tarot and playing cards (trionfo = “trump”). Many bridal chests were depicted with scenes from the trionfi, and in Florence troupes of young men and women acted out the battle of Cupid and Chastity on decorated wagons during the festivities of Carnival and Calendimaggio (May Day). Two of these “canto carnascialeschi” or “carnival songs” have come down to us without their musical settings, and are incorporated into our performance set to other carnival tunes of the early Renaissance. The music chosen to illustrate the Trionfi runs the gamut of musical styles of the 1500s, from light-hearted “frottole” and carnival songs by Bartolomeo Tromboncino and others, through the rise of the polyphonic madrigal as cultivated by Cipriano da Rore and Orlando di Lasso, to Francesco Cavaliere and the beginnings of monody. Some pieces are actual settings of passages of Petrarch’s poem itself, including Wert’s “Nel tempo che rinnuova,” the anonymous “Dura legge d’amor” and Lassus’ “Passan vostri triumph.’ Portions of the Trionfo di Morte are sung to 16th-century melodic formulae designed for reciting terza rima or other kinds of verse. Finally, attesting to its popularity, many characters and themes of the Trionfi are featured in songs and madrigals of the 16th century, including the frottole “Nui siam tutti amartelati,” “Alla guerra” and “Huom terren caduco et frale”; and the early monody by Cavaliere “Il tempo fugue.” The lauda (devotional song) collected by Serafino Razzi, “Dolce Dio,” reflects in its simplicity the poet’s final vision of a world conquered by Eternity, in which Time stands still. In the midst of this vision of Eternity, we rejoice with Claudio Monteverdi‘s setting of Psalm 116. Are there other sessions, guest lectures and certain performers, performances or programs that you especially recommend to the general public? Paul: This will be a great summer to explore all things Italian with a special emphasis on poetry and painting. 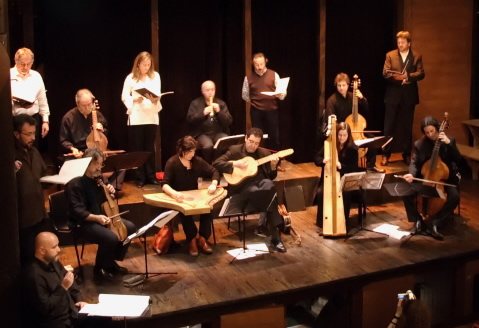 Music is always at the center of things at the Madison Early Music Festival, but there were so many other cultural and philosophical developments that this will be a great summer to learn about other aspects of Italian culture. Cheryl: This is a difficult question to answer, because I am so enthusiastic about everything we have to offer this summer! That said, everyone should be aware that there are new artists at MEMF this summer. The Toronto Consort is new to MEMF, as is the group Trefoil (below), a hearty trio of medieval minstrels! On Friday, July 18, in Music Hall, Trefoil (at bottom in a YouTube video playing 13th-century Spanish music at a concert on Wall Street) will be performing their program “Dio Mio! That’s Amore!” that features musical works of the trecento and the Italian fixation upon love. Countertenors Drew Minter (below top) and Mark Rimple (below middle) and soprano Marcia Young (below bottom) have appeared with leading early music ensembles around the country, and it’s the first time we’ve had two countertenors appear on one program. There are special lectures on Monday and Wednesday from 11 a.m. to noon that are not repeated as pre-concert lectures, but all the daytime lectures from 11 a.m. to noon are FREE and OPEN TO THE PUBLIC. Several University of Wisconsin-Madison professors will be lecturers, including John W. Barker (below), Professor Emeritus of History, who has written music criticism for Isthmus and The Well-Tempered Ear. Besides the lectures, we have a fun dance event with a live band, featuring dances of the Italian Renaissance. (Costumes are welcome!) The European court dance specialist will be teaching the dances, and she is a delightful presence, all week long! Cheryl: The electrical system in Mills Concert Hall is being overhauled this summer, and this has been our biggest obstacle. We almost used the Wisconsin Union Theater, which would have been really exciting, because we would have been the first group in there after the renovations at the Union. But the cost was prohibitive. 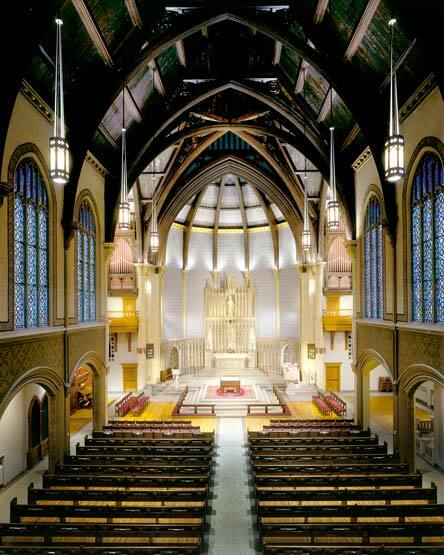 So we decided to use Luther Memorial Church (below top) for the Saturday, July 12, Toronto Consort performance, the Sunday, July 13, LIBER concert, and the final All-Festival Concert on Saturday, July 19. We will be in Music Hall (below bottom) for the other concerts; Ex Umbris on Tuesday, July 15; the second annual Handel Aria Competition on Thursday, July 17; and Trefoil on Friday, July 18. 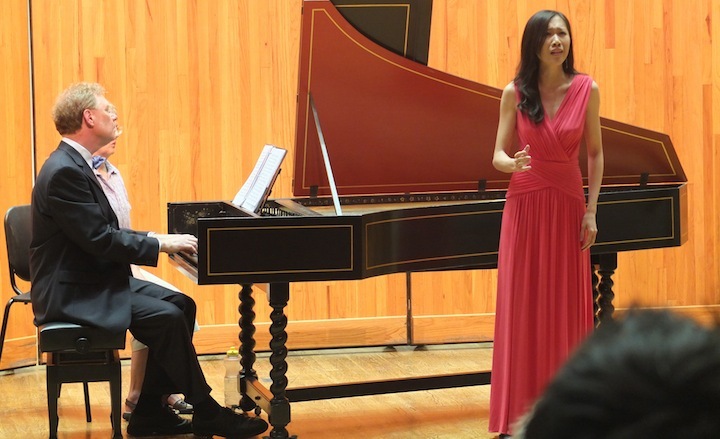 The singers in the finals of the second Handel Aria Competition (below is a photo of the first competition last year that featured just a harpsichord accompaniment) will be accompanied by a small instrumental ensemble this year. We had a higher number of applicants this year from all over the country and several from Europe. 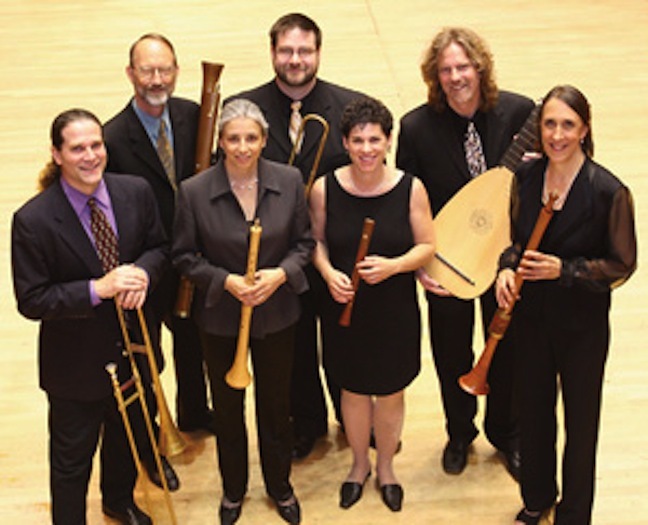 Also, Piffaro (below), the Renaissance Wind Band, will have their only performance in Edgerton at the Wartmann Prairie, on Friday, July 11, which will benefit the Edgerton Arts Council. MEMF artists have appeared on this benefit concert for the past 11 years. William Wartmann, a great patron of the arts in Rock and Dane counties, invited us to start this series and help raise scholarship funds for students in the Edgerton area to attend summer music programs. Paul: Since this is our 15th year, we will be celebrating some of our past events and planning for new things in the future. We are excited about several new developments that we feel will set us up well for the next 15 years. Classical music: The weeklong Madison Early Music Festival gets more national attention as it marks 15 years. The festival kicks off on Saturday and focuses on Italian early music and art from 1300 to 1600. Part 1 of 2. This year’s installment starts on this coming Saturday, July 12, and runs through the following Saturday, July 19. 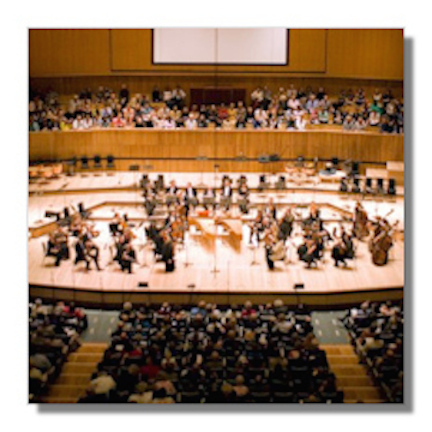 It features many of the traditional things such as workshops, lectures and public concerts. But it also features new out-of-town groups and only the second annual Handel Aria Competition, which has been enhanced. Venues are perhaps the biggest challenge this year, given the upgrading of Mills Hall at the University of Wisconsin-Madison School of Music. 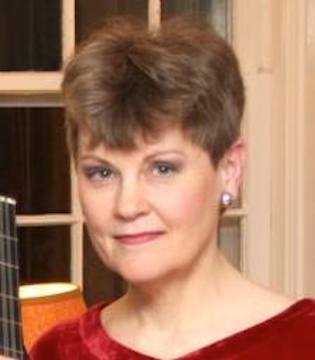 To get things straight, and to provide both some history and a larger context, The Ear asked baritone Paul Rowe and his soprano wife Cheryl Bensman Rowe -– who are the co-artistic directors of the Madison Early Music Festival -– to do an email Q&A for this blog. They graciously agreed, and the results will be posted in two parts, today and tomorrow. How successful is this year’s festival compared to others in terms of enrollment, budgets, guest performers, ticket sales, media interest, etc.? This is the 15th anniversary of MEMF. After 15 years, is MEMF clearly established now nationally or even internationally? Cheryl: We have been getting more attention in the national press, and we continue to feature ensembles and artists from Europe and Canada. 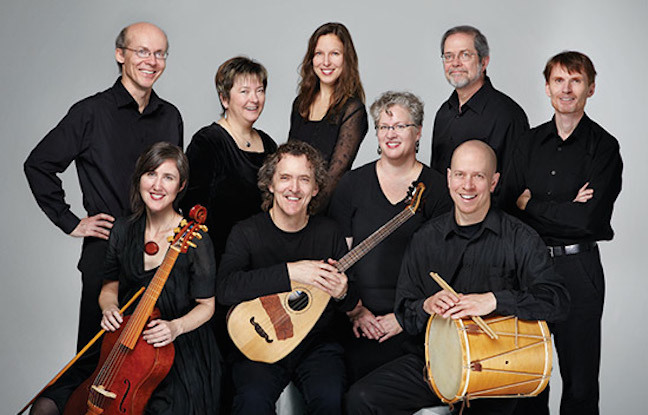 This year the Toronto Consort — seen below and heard at the bottom in a YouTube video of Italian music and art from the period that MEMF will cover — will open the festival with their program “The Da Vinci Codex,” which features Italian Music from the musical world of Leonardo Da Vinci. In May, the blog Deceptive Cadence from NPR Classical mentioned MEMF 2014 as a “Can’t Miss Classical Music Festivals” in the Midwest region. Besides the attention in the press, we are well-known in early music circles. 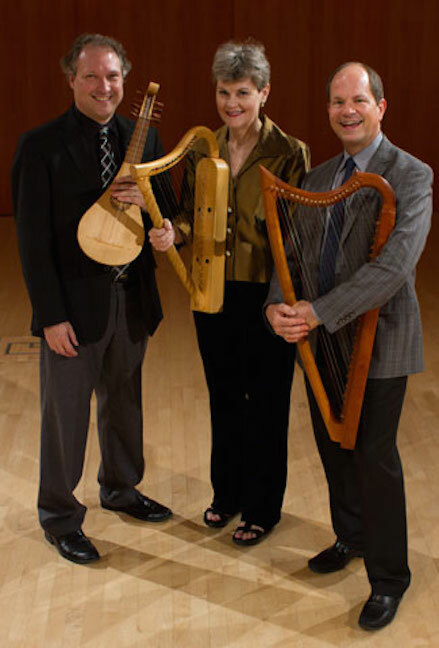 Our performers and faculty are also hired by many well-established festivals, including the Berkeley Early Music Festival, Boston Early Music Festival (below), Amherst Early Music Festival, Oberlin Baroque Performance Institute and others. What is new and what is the same in terms of format, students, faculty members and guest performers? Paul: This year we are adding two new intensive workshops that will run concurrently with MEMF. One is focused on wind instruments that will form a loud band and be led by Robert Wiemken (below top) of Pifarro. 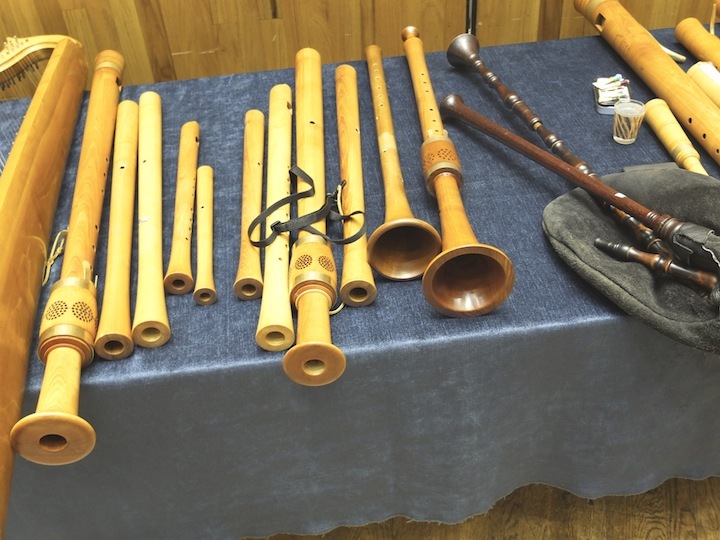 There are eight people in the loud band intensive class who play sackbut, shawm, dulcien and other instruments (below bottom). The other is a Baroque opera workshop that will be led by Drew Minter, Christa Patton and me. 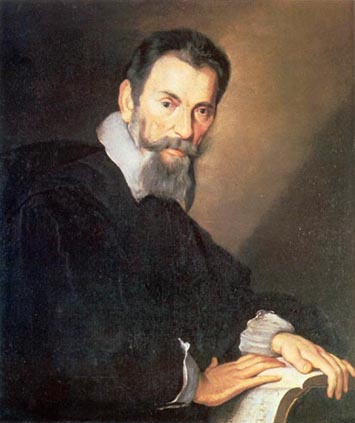 We will use music from the operas “Orfeo” and “The Coronation of Poppea” by Claudio Monteverdi (below) as source material to explore Baroque gesture and dance as well as ornamentation and stylistic singing. We have 15 singers who will be taking this workshop. The two intensive classes will present an informal performance on Saturday afternoon, July 19, at 2 p.m.
Why was the topic of the Italian music 1300-1600 chosen for the early music festival? What composers and works will be highlighted? Paul: We wanted to have a broader historical focus this year in order to include very early instruments and music as well as the larger format pieces that are a feature of the later Renaissance and early Baroque. The most famous composer of this period is Claudio Monteverdi, but there are many others. Italy was really the hub of poetry and music for all of Western culture during the time period we are considering. The poetry of Petrarch (below) will provide the focus for the All-Festival Concert this year. This is the era of Boccaccio and Dante as well as Petrarch. Tomorrow: What makes early music in Italy different? What will the All-Festival Concert next Saturday night be like? 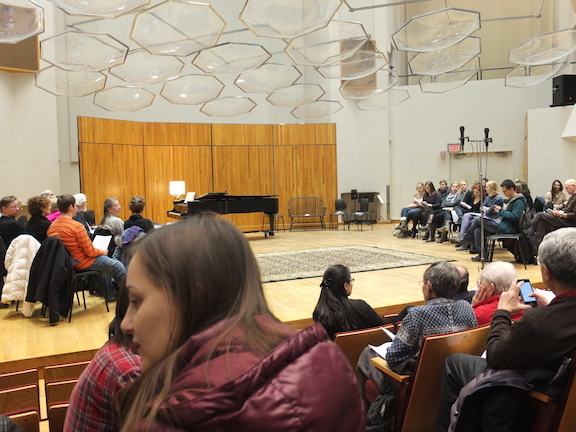 What is new about the second annual Handel Aria Competition and the new FREE noontime lectures?